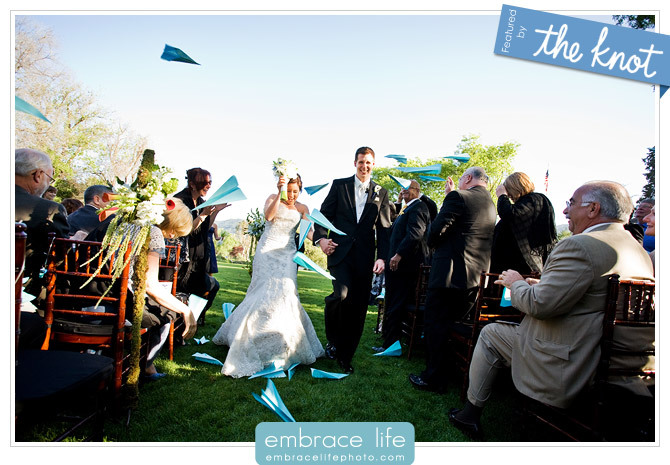 Laura and Ted exited their ceremony to guests throwing paper airplanes instead of rice. It was such a cool idea! We love that The Knot is featuring this great wedding ceremony exit idea on their Wedding Obsessions blog. If you haven’t yet seen Laura and Ted’s Malibou Lake Mountain Club wedding, check it out.